Lake Terrace Gem is a comfortable two bedroom bach with stunning views, modern amenities and an outdoor thermal pool. The open plan kitchen features a coffee machine and dishwasher with breakfast bar and dining table. The spacious lounge has couches that look out floor-to-ceiling windows over the Great Lake Taupo. Step out on to the patio and enjoy the thermal pool and BBQ, or keep warm and entertained inside over the winter months with a heat pump and television. 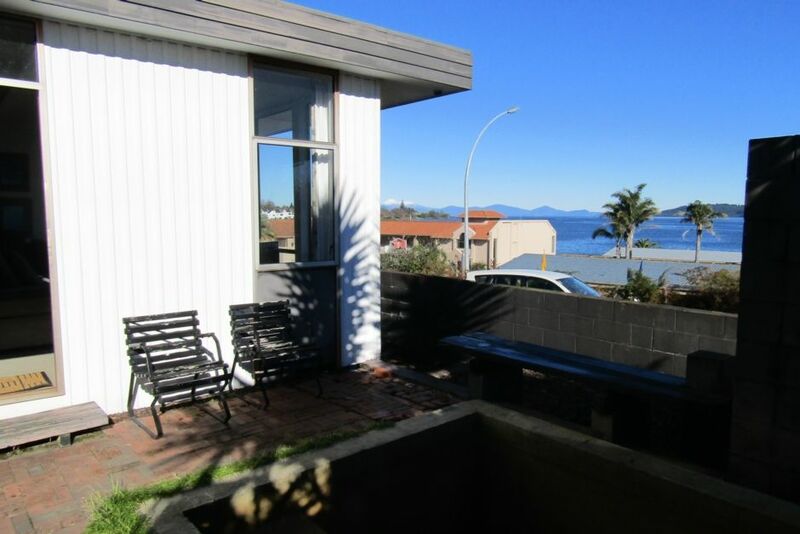 This is a classic Kiwi bach as we know and love, it is a simple and affordable shared home with no frills, made for families to enjoy and make lasting memories of Great Lake Taupo. WiFi is not available. Linen is not supplied but can be hired from us for $15 per person alternatively you are welcome to bring your own. Just let us know when you make your request. Respect the neighbours and keep noise to a minimum. Keep children under supervision at all times especially around the thermal pool. Mineral Hot Pool, you will need to fill the pool as it is left empty. View amazing and nice open plan kitchen, lounge. Toilets & bathroom clean. Areas of unit need a good dust & unit is tired in parts. First dish used & oven tray were not clean. Could not get hot pool to work as it takes time to fill & work out troubleshooting instructions. A bit disappointing. Great apartment, clean and convenient located. Great apartment, clean and convenient located. It'd be nice to have a bit more signage as it was a bit hard to find at first, but then it was great. The hot pool was a real treat. My Kids and I fell in love with this Holiday Home and never wanted to leave.